Beveled Texas Star with red, white and blue around it. Twisted lead around diameter. Approximately 19″ diameter and sells for $290. For more information call (713) 899-0933!! This entry was posted on January 12, 2011 by alliekayglass. 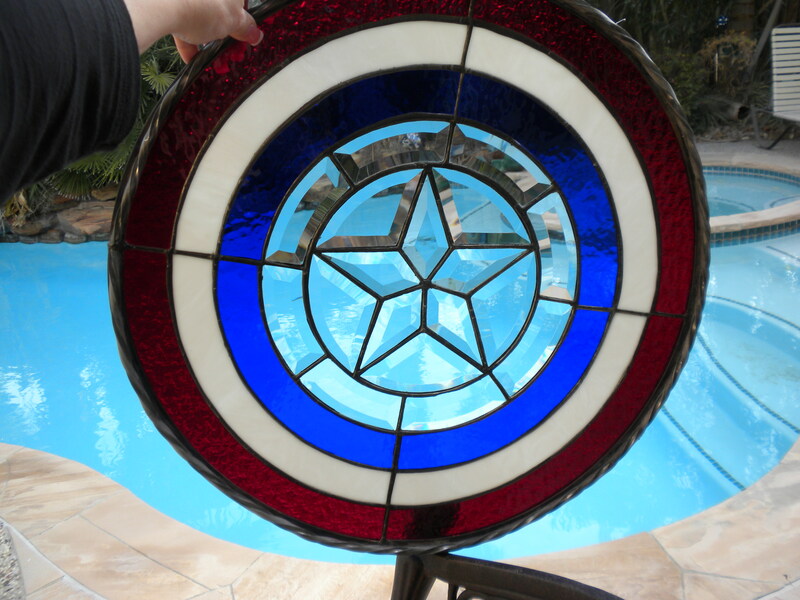 It was filed under Stained Glass and was tagged with Beveled, Blue, decorated, Red, Stained Glass, Star, Texas, white. That’s beautiful stained glass art.